Rakshat wins the challenge. He says I didn’t do this for money. His gf says everyone was saying it was dangerous. You did it. Se says you gave me the best surprise. What happened.. Divya says wasn’t so impressive. I can do better. Drishti says to manager is Rakshat coming? He says yeah. She gets worried and says he can’t come. Drishti runs. She sees his plain crashing..
Rakshat’s gf says really? Divya says take my challenge. I can do it. He says I don’t run away from challenges. She says in heart I will use my power. Divya gets on her bike. She jumps high and falls in the waves. Rakshat picks her from there. He says I am no interested. I don’t like losing. The win was very easy. He leaves. She says in heart he is my prince charming. Drishti asks manager what is Rakshat’s plan? He says why? She says you hired me as his PR. He says he will be flying to Turkey. Rakshat’s gf says your mom announced your wedding. He calls his mom and says I don’t love anyone. Why did you arrange my wedding. Divya hears and dances happily. Rakshat books his flight for Mumbai. Divya asks where are you going? She says I am staying the same hotel as you are. Please drop me. Rakkshat says sure just keep your mouth shut. They come to hotel. Lavaniya is mad at Rakshat. She leaves in anger. Drishti comes running. She is about to fall in pool. Rakshat saves her. She says this is your tie right? He says how do you have it? He gets a call and says I am going to Mumbai. Drishti says you can’t go. He says what? She says that flight. Manager says she is your new PA. Drishti says you can’t go. He says now you will tell me I can’t go? She says I was looking at the files. It was an important deal. don’t leave that important deal. He says my mom called me. Nothing is more important than her. Rakshat is leaving. Lavaniya stops im and says I am sorry. Please think about making me your soulmate. He says okay. Drishti goes with rakshat. Drishti is in the plane. She says God please do something and save everyone. Divya is also in the plan. She is jealous of lavaniya coming close to Rakshat. The plan shivers. Drishti is worried. The plain is falling. Rakshat saves Drishti. He falls on her. Dovua saves the paln. She makes it land. Rakshat says to Drishti are you okay? She says I am fine. He says please sit. The plain lands. Rakshat comes home. He meets his mom. His mom says you are going to be 28 soon. I want you to get married. He says I will don’t worry. His mom says why don’t you ask her to get married? He asks lavaniya to marry him. She hugs him and says yes yes I will. The witch is in their house. She sends her man to scare Divya Drishti. She says my lavaniya will trap him forever. Everyone gets busy in in deciding things for the wedding. Divya says to Lavaniya I know everything about you. What if I tell his mom? She says what do you want? Divya says somethin very small. Rakshat’s mom says you will stay here for all the wedding. He says I have work. She says I have spoked to your staff. Drishti says I am leaving. Mahima says you are such a nice girl. Rakshat asks Drishti to fix his meetings. Drishti collides with Mahima. She says I am sorry. Mahima says its okay. She says Rakshat is a bit strict to staff. Don’t worry. Divya is staying in their house as well pretending to be Rakshat and Lavaniya’s friend. Dviya says to Rakshat your mom asked me to take you shopping. She is doing so much for you. Come and see things for your mom’s sake once. I have so many ideas for the engagement. She turns off the light. She says we will do seating arrangement here. The witch’s man follows Dirshti. She wonders who is it. Divya says fairy light, flowers do you like it? He says cool. She says there should be big LED lights. He leaves. Divuya says how rude. Drishti sees her store. Divya sees a scorpio and screams. Dirshti sees divya in trouble. She runs out. Precap-Rakshat saves Drishti. The witch does magic on the sisters but it doesn’t work. 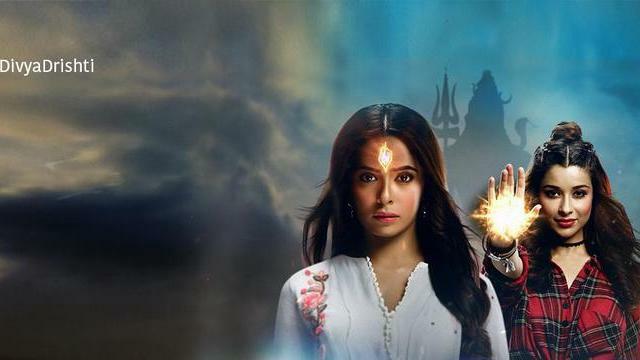 The post Divya Drishti 2nd March 2019 Written Episode Update: Sisters in the same house appeared first on Telly Updates.